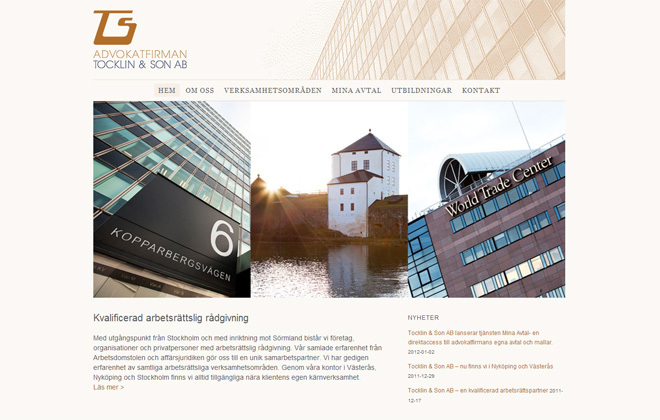 Tocklin & Son AB is a law firm founded in 2005 by Andreas Tocklin. They are currently located in Stockholm, Västerås and Nyköping in Sweden. The site has a restricted download section called Mina avtal that requires registration for access. Navigate to tocklinochson.se to have a look.